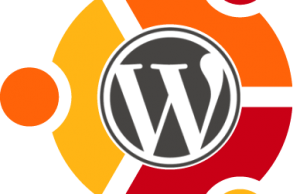 WordPress creates three different images of different sizes for a single image upload. If you are attaching an image on your blog post, your hosting account upload folder will have 3 different image of sizes (150 x 60, 300 x 38, original) which will increase the number of files on your hosting account. If your blog is hosted on shared server, they always keep a restriction on number of files (also in case of unlimited hosting) so you may face suspension warning because of such extra files. If you are using Windows Live Writer, you may reduce this number from 3 to 2 as you can use FTP feature of Windows Live Writer to upload post images. Open Windows Live Writer and go to the “Blogs” tab on menu bar. Now click on “Edit Blog Settings” for selected blog. Go to the “Pictures” tab in left panel and select the upload preference as FTP. Now you need to configure the FTP option by providing the FTP ID and Password (same ID and password you uses for third party FTP client like FireFTP) and image folder location. You also need to provide the URL of the image folder. Once you will enter these values and press OK, your blog posts images will automatically move to the assigned folder at the time of “Publishing” the post thru Windows Live Writer. By doing so, you will create 2 images for a single image out of which one image would a thumbnail and other as original size image.